Dr. Eigen is professor and head of the Max-Planck Institut fur biophysikalische Chemie and Karl-Friedrich-Bonhoeffer-Institut, Gottingen- Nikolausberg and is President Studienstiftung des Deutschen Volkes. 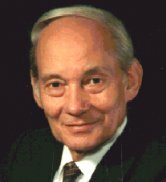 He holds many national and international honours and awards including the Otto Hahn Prize, the Nobel Prize for Chemistry[with Norrish and Porter(associate of INEED)] for the investigation of extremely rapid chemical reactions by means of disturbing the molecular equilibrium by the actions of very short energy pulses, member Akad. der Wissenschaften, Foreign hon. member American Acad. of Arts and Sciences, Foreign Association member National Academy of Sciences, USA, Foreign member of the Royal Society and Acad. Francaise. Professor Eigen is Hon. Professor of the Technical University at Gottingen and has honorary doctorates from many universities including the universities of Washington, St. Louis, Harvard and Cambridge.